Despite the whopping sales report that Apple glosses over its new iPhone flagship, the truth remains that Android still dominates a huge chunk of the mobile market. In fact, many iOS users have already switched to Android for reasons that have something to do with security and sharing. Also, current data shows Android occupies nearly 85 percent of the mobile device market. So if you are one of the folks who plan on jumping the fence, you might want to learn how to move your important files from your iPhone or iPad to an Android device. This is, according to many, one of the factors that deter iOS users from switching to Android: the fear of losing their personal content to a click of the finger. First off, you will want to have your contacts synced with your Google account as these are perhaps the most important files stored in your mobile device. To perform this process, your contacts list needs to be synced first with the iCloud by entering the Settings menu, and from there locate the “Mail, Contacts, Calendars” and find “Accounts.” Look for the toggle switch and make sure it is being selected. Provided the step described above has been performed, access your iCloud account from a computer and proceed to “Contacts” and check the “Select All” option that is found in a wheel-like dropdown menu on the lower corner at the left hand of the screen. Also, find the “Export vCard” from the same menu and your contacts are good to go. You should then be able to move your exported vCard from the iCloud to your Gmail account. To do this, login to your Google account and proceed to your contacts list and click on the “More” button and click “Import” to perform the final phase of the migration. 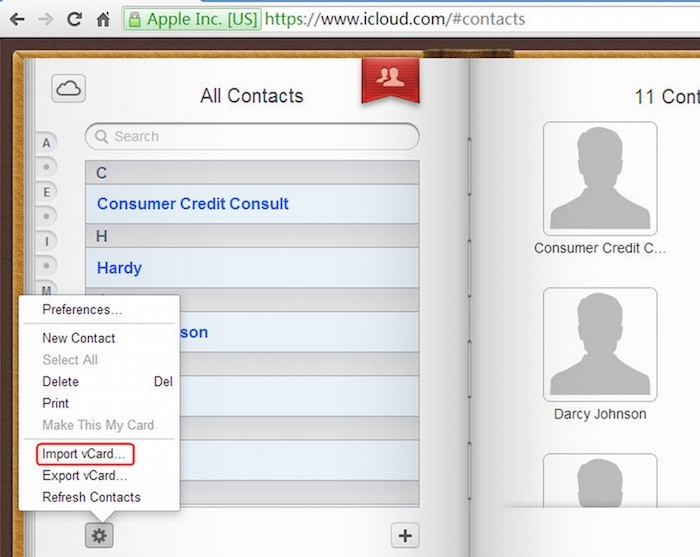 Once this process is completed, your contacts that were transferred from iOS will be displayed on your Android device. In late December, we published a review of Wondershare TunesGo, a software designed to help users migrate their music files from iTunes to any Android device with a few clicks. After installing the software, you only need to connect your Android device to your computer through a USB cable, open the iTunes application (provided it has already been installed in your PC) and click on the transfer button. You can perform the transfer for a couple of times after downloading new music files to your iTunes. You can also download the Google Play Music Android app and use it to download or stream your favorite playlist to your Android gadget.